In 1984 Cheryl and Joseph Parisi started their first business together which was permanent hair removal by electrolysis. The initial business was called Cheryl’s Electrolysis. In 1998 they purchased the first FDA approved laser by Candela for laser hair removal. The new laser was called GentleLASE which offered permanent hair reduction. The same year they changed the name to Cheryl’s Hair Removal Center. But it was the speed of the lasers which could remove 30-50 hair follicles in just one second. This was a turning point in their business as they could now complete women’s upper lips in just a few seconds compared to electrolysis which could take up to 30 minutes. You see to remove 30-50 hairs with electrolysis could take 10-20 minutes. The laser also helped men with unwanted back hair. The laser could remove all back hair in just 30-45 minutes compared to 25-50 hours of electrolysis. In the mid 2000’s Cheryl’s Hair Removal Center got involved with the first laser cellulite reduction units which were FDA approved. These lasers also assisted clients in their body contouring needs. As newer technologies came about, Cheryl’s Hair Removal Center were upgrading their equipment. 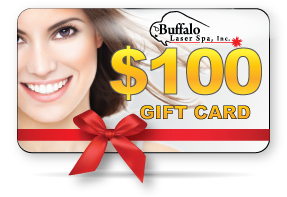 In 2010 the name was changed to Buffalo Laser Spa and Cheryl’s Hair removal Center to include new laser and ipl devices to treat more than hair removal. They purchased the first laser for non-invasive Fat Removal in 2010. Then in 2012 the next generation i-lipo and Gentle Slim fat removal lasers became available and again Buffalo Laser Spa and Cheryl’s Hair Removal Center purchased the first devices in Buffalo to offer this exciting new technology. In 2015 Buffalo Laser Spa & Cheryl’s Hair Removal Center purchased the Sunetics hair regrowth laser for thinning and balding scalps with about 90% effectiveness. There is no pain or downside with the Sunetics laser for hair regrowth for men and women. In 2017 Buffalo Laser Spa and Cheryl’s Hair Removal Center introduced Coolsculpting to their practice. Coolsculpting freezes and eliminates your unwanted fat. Coolsculpting helps eliminate that stubborn fat in your pooch area, love handles, arm fat, bra fat, banana roll and abdomen. Also, in 2017 they purchased the Venus Concepts Legacy and Versa to enhance their practice to offer a complete solution to skin and body problems that millions of Americans face everyday! From cellulite reduction and body contouring with the Legacy to facial skin tightening, photorejuvenation and resurfacing with the Versa. The Versa system can also handle deep wrinkles, reducing active acne, acne scar reduction, sun spots, age spots, rosacea, hyper-pigmentation. They can help more people with their suite of services. If you don’t come to see us you paid too much! 25% Off Coolsculpting plus receive a FREE RF Body Contouring Skin Tightening treatment to accelerate your fat loss and tighten loose skin. 3 Easy Steps to Remove Your Fat! 1st – Our “Exclusive” 10 minute FDA approved Laser Fat Treatment with No Pain, No Surgery and No Downtime. 3rd – Enjoy a healthy lifestyle. Online Special – $995.00 after all discounts. Includes 8 – 10 minute laser fat removal treatments.